“Seriously? Who plays land destruction?” Clark fumed as he picked up his lands and dropped them into his graveyard. “Me.” Bruce responded simply as he followed suit, adding the resolved Armageddon to his pile. Armageddon. Ruination. Catastrophe. Cataclysm. Right now half of you are foaming at the mouth in rage, as each of these names rattles your PTSD and causes you to have vivid flashbacks of holding a mitt full of unplayable cards. Meanwhile your opponent cackled his way to victory, twirling his evil little moustache the entire time. 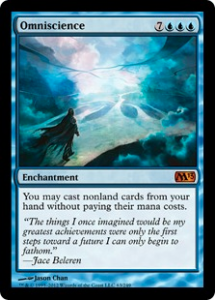 But the other half of you are sporting giant grins and clapping your hands with glee as you fondly remember the day when you found a way to squeeze out those few extra turns it took for your aggro deck to win. How could you take such pleasure in another’s pain!? Don’t you understand that you’re the villains!? These cards are unfair and not fun! And those who use them should be brought up on war crimes and banned from the hallowed halls of EDH forever! Let’s start by getting this out of the way. Yes, I know that Zur the Enchanter plays Armageddon and it makes you cry. And, having played this particular general as my first real EDH deck, I am also aware that every time Jhoira of the Ghitu casts Jokulhaups after suspending two Eldrazi and a Consecrated Sphinx you get a rising urge to punch infants. These generals are vicious and cutthroat, but they would be with or without land destruction. And they aren’t who I am here to defend (at least not today). I think land destruction’s home is best found in quick aggro decks. Decks like Isamaru, Hound of Konda or Adamaro, First to Desire, that have extremely explosive starts but cannot keep up with the card quality of a late game. For these decks land destruction isn’t just a good inclusion, it’s mandatory for success. Denying opponents the ability to interact for a few turns is often the difference between a mildly suggestive victory dance and your sensei taking your picture off of his wall in disgrace. “You should have run Crucible of Worlds before stepping into my dojo, old man. 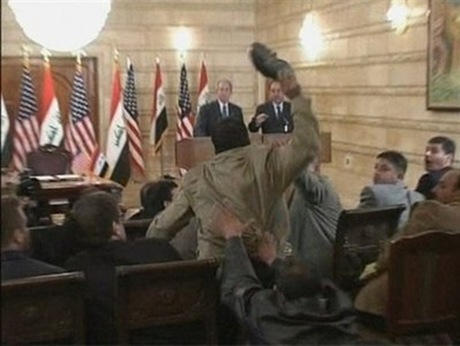 “But Eric! Land destruction is different! It sets the entire game back!” I hear you roar at your monitor, thinking that if you’re loud enough your voice will carry all the way up to the arctic wastelands of Canada. And that is true, you have to rely on top decking lands or ramp to recover from a big land wipe. 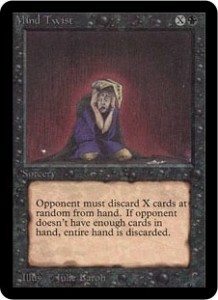 But you also have to rely on top decking some action after your third spell in a row is countered. Or after a Hymn to Tourach takes out your only threats in hand. I will however concede that land destruction is different from those other denial strategies in one big way. It is symmetrical. Last I checked, this didn’t punish you and your opponent equally. Pretty much all mass land destruction spells hit everybody at the table, hence the mass right there in the name (turns out they weren’t talking about tearing up the local church’s gardens. Imagine my disappointment.). The caster suffers same as everyone else. This means that if a player wants to win after casting one of these suckers, he has to set up a position. On the Board. Right in front of you. Where his stuff is totally vulnerable and his plan is completely broadcast. When was the last time someone gave you a heads up before a Thoughtseize or Force of Will? And all this just to buy a turn or two more for their team to seal an aggro win. Now, there is one other way to get the time you need. If you happen to be playing blue. Just Time Warp! Granted, taking extra turns is even less interactive and easier to abuse than mass land destruction. At least with Ravages of War you still get to draw cards, play land, use abilities, attack with creatures. You know, magic stuff. But somehow it is less offensive when people take three turns in a row to out draw, out ramp, and out play you while beating your head in with multiple combat steps. Take it from me, it is much better to see Geist of Saint Traft drop a Cataclysm than a Walk the Aeons. But I get it. 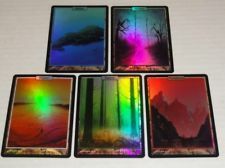 You went to the effort of getting all your unhinged lands foiled out and signed by John Avon, and you would like them to stay on the board where their swag can be truly appreciated. It’s cool, I’ve got a couple of tips that might help with that. The obvious answer is land recursion. Cards like Life from the Loam, Sun Titan, and Crucible of Worlds will allow you to get your lands back from the graveyard. The fact that Crucible is a artifact also means that you can throw it in any deck you like! If you add in a full suite of fetch lands and a Strip Mine/Wasteland package, you’re guaranteed to get value out of the slot. Of course, your casual playing friends are also guaranteed to throw their deck boxes at your head, but that’s life. If George W. Bush is quick enough to dodge projectiles, than I have faith that you are too! Other ways to provide resilience are just based around solid deck building. Running a healthy land count will allow you to draw more lands to get back in the game. Between 36-40 seems to be the magic sweet spot. See what I did there? Magic sweet spot? Man, it’s a crime that they don’t pay me for this stuff. A couple tutors and a small ramp package will also allow for a quick recovery, cards that your deck probably runs anyways. And remember that mana rocks will often survive a land wipe, though they are vulnerable to artifact destruction. Weigh the amount of land destruction against the amount of artifact hate in your meta, and adjust accordingly. And lastly, keep in mind that your opponent wants to blast your lands in order to buy their creatures a few turns. Removing their board position will cause them to hold their land destruction back. As will establishing a competitive board position of your own, No one is going to Catastrophe while you have a creature carrying a Sword of Win and Value on the field. Well, at least not the land destruction option. If you take nothing else away from this article, remember that last paragraph. 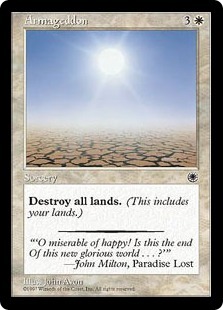 Mass land destruction is never a win condition, it is a way to make other cards into win conditions. 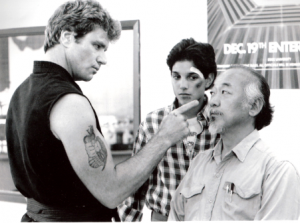 If you don’t want your opponent to deny you interaction, interact early! Build up a board, play removal, and drop threats. If you do that the land destruction spell in your opponent’s hand will increasingly be a dead card, punishing them for playing it. And isn’t that what you wanted to do in the first place? Always remember, Armageddon is not an automatic win. I mean, it’s no Omniscience. Did I mention that I hate this card? Because I really hate this card. When Eric isn’t doing stand up comedy or making unwanted advances on your cute aunt, he is writing his column on Commandercast.com: (Vexing) Devil’s Advocate. If you have a particularly despised piece of cardboard that you would like to see defended by a morally bankrupt heathen, feel free to leave a comment below or shoot him an email at EricBonvie@gmail.com.